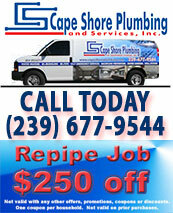 Cape Shore Plumbing is SWFL’s water pipe leak detection specialist. Undetected leaky pipes are a major cause for spikes in your water bill caused by increased water flow meter activity. Leaky pipes are elusive. Left undetected, they can cause expensive structural damage to your property. 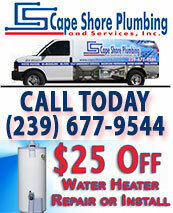 The local plumbers at Cape Shore Plumbing stop the spinning of your water flow meter by locating and repairing leaky pipes. Our 24-7 water pipe leak detection plumbing service offers cost saving solutions to all plumbing problems. Have you have noticed a gradual increase in your water bill over the past few months, but the water usage rate hasn’t changed? Leaky pipes cause unnecessary water flow through your water flow meter resulting in higher water bills. Age plays a large role in the life cycle of your plumbing service that can cause increased flow through your water flow meter. But there are many other causes for leaky pipes that require a plumbing service with specialized water pipe leak detection equipment. 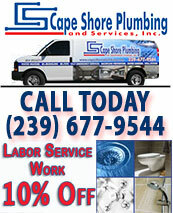 All plumbers at Cape Shore Plumbing employ advanced technology for water pipe leak detection. Our state-of-the-art non-invasive water pipe leak detection equipment helps locate the origin and source of the leaky pipes that cause expensive property damage. Before you call your local plumbers, you can take your own investigative actions for water pipe leak detection and excessive flow of water through your water flow meter. When you can’t locate the origin and source of leaky pipes and other water leaks, call Cape Shore Plumbing, SWFL’s water pipe leak detection experts. We work with homeowners, property managers, business proprietors and insurance companies in locating the cause of leaky pipes and stopping the unnecessary flow through your water flow meter. To stop expensive structural damage caused by leaky pipes from occurring in your home or business.